Nottingham Trent University and The Students’ Union are collaborating to raise awareness and perceptions about sexual abuse and sexual violence, and show our support to survivors. 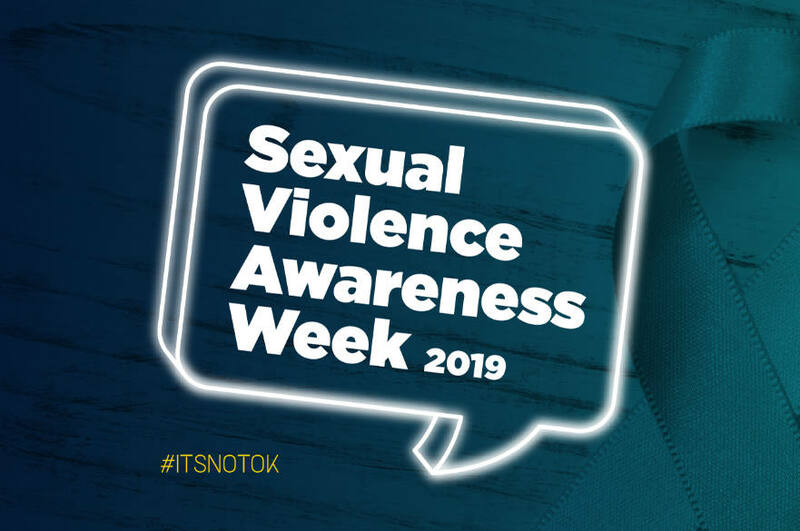 Whether you or someone you know has been affected by sexual violence, or if you simply want to learn more about consent and respect, there are various ways to show your support throughout the week. You can come and collect a free wristband from all Student Services Centre’s and wear in support of ending sexual violence. Donations are optional and all proceeds will go to Nottinghamshire Sexual Violence Support Services. Find out more about sexual violence and how you can help prevent it. Come along for an interactive workshop on how to safely disrupt sexual violence and keep yourself safe. Understanding respect and consent is key to helping prevent sexual violence. This training session lead by your VP Community and Welfare and VP Sport will help you do that by covering topics such as what consent is, giving and receiving consent and getting help. Panel session: It’s not a walk in the park. What actually happens when you report sexual assault? Panel experts discuss the pros and cons of reporting sexual violence, and the myths and reality of what it’s really like. Join our distinguished panellists from The Topaz Centre, Notts Sexual Violence Support Services and NTU’s Student Support and Student Accommodation Services. If you’re planning on going to Ocean this week, we’re giving you the chance to donate £1 when you buy your ticket to support the Topaz Centre which offers free advice to victims of sexual abuse. Come along to our empowering self-defence session where you will learn how to defend yourself in various situations, using another’s force against them. Take a look at www.trentstudents.org/svs for more information about Sexual Violence Awareness Week. You can also visit www.ntu.ac.uk/sexualviolencesupport for sources of support available at NTU.